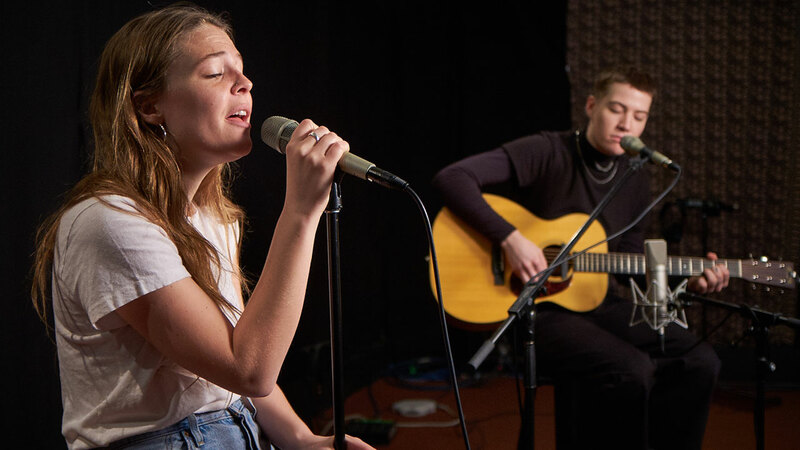 Maggie Rogers performed an FUV Live show at Electric Lady Studios back in 2017, but she finally made her Studio A debut this year — and the timing was perfect. Just after the long-awaited release of her debut album, Heard It In A Past Life, Rogers was beyond energized to share the new material and talk about her path over the last couple of years. The session was also an opportunity get a look behind her production work on the album and hear the core of the songs, as Maggie was joined by guitarist Elle Puckett for this performance. So before she takes the stage at Hammerstein Ballroom on Friday with her full band, listen tonight at 8 p.m. on FUV for some acoustic tunes from Maggie Rogers and her chat with Carmel Holt. You can also listen anytime in our online Vault.